Have you heard of the mind body spirit link? Recent advances in modern medicine have proven that there is a connection between how the mind and the body work together. Tiny receptors in our body sense messages sent from our brain. 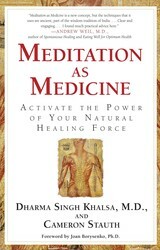 Read more about how it this complex process functions in Meditation As Medicine: Activate The Power of Your Natural Healing Force. Virtually all of the latest scientific research indicates that each of the body’s organs and systems is inextricably linked, often through connections so elegant and esoteric that they escaped scientific notice until just the past few years. For example, progress in advanced imaging techniques, as well as new biochemical research, has revealed connections between the hormonal, immunological, and gastrointestinal systems that were considered nonexistent ten years ago. Some of the most compelling research on the body’s physical interrelationships, and also on the mind-body-spirit link, has come from the erudite Candace Pert, Ph.D., who was one of the discoverers of the endorphin system. Dr. Pert has recently published fascinating research on the biochemical connections that knit the human being together. She has conclusively proved that the body contains an extraordinary system of receptors, tiny sensing devices that receive messages from specific chemicals, such as hormones and neurotransmitters. Until just the last few years, the allegory used to express the linkage between receptors and their specific chemicals was that of a biochemical lock and key. But Dr. Pert and others have shown that this mechanical concept is just not how it really works. Instead, receptors attach to their intended chemicals by sharing the same, distinct molecular vibration. This lends credence, I think, to the assumption of the ancient yoga masters—and modern quantum physicists—that vibration is integral to biological function. Gives a new meaning to mind over matter. We’ll be adding “Get better at meditation” to our To Do List with the hope of strengthening that mind body spirit link. Here’s why meditation works. Proven effective by scientific research and presented here by Dr. Dharma Singh Khalsa and Cameron Stauth, the practice of Medical Meditation revolutionizes the healing process. By balancing and regenerating the body's ethereal and physical energies through simple meditations, Medical Meditation unites the mind, body, and spirit into a powerful triad. Each Medical Meditation here has a specific physiological effect, targeting afflictions from arthritis to ulcers to cancer. Dr. Khalsa details the five unique attributes that endow this type of meditation with far more power than standard meditation. 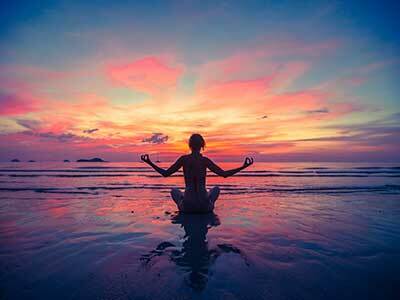 The combination of special postures and movements; exact positioning of the hands and fingers; particular mantras; specific breathing patterns; and a unique focus of concentration can change your entire biochemical profile, easing you into a calm, healing state. Practiced in conjunction with conventional or alternative medical treatments, cutting-edge Medical Meditation activates the healing force within you. Cameron L. Stauth is an American author and journalist who is best known for his narrative nonfiction accounts of true stories, and for his medical books. Guru Dharam S. Khalsa teaches at the School of Kundalini Yoga (SKY) in the UK. He studied with Yogi Bhajan—the man who introduced the practice of Kundalini Yoga to the United States—for more than twenty years.